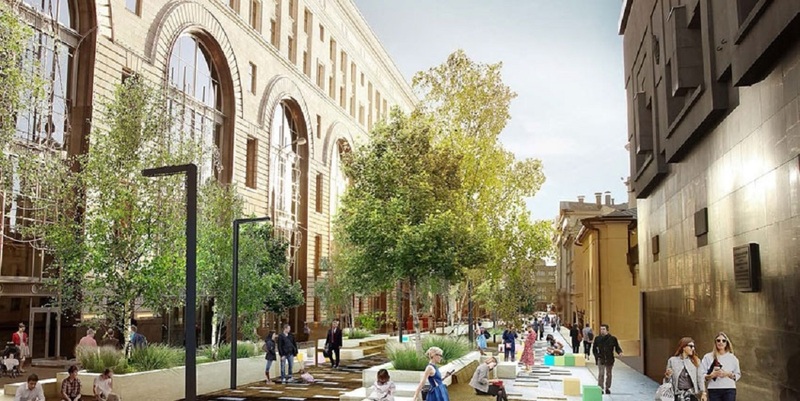 New pedestrian area, that will soon appear near the Central Children’s Store at Lubyanka Square, will include Bolshaya Lubyanka Street, Teatralny driveway, Rozhdestvenka, Pushechanaya, Neglinnaya and Kuznetsky Most streets. Works are promised to be completed by the City Day, September 5. 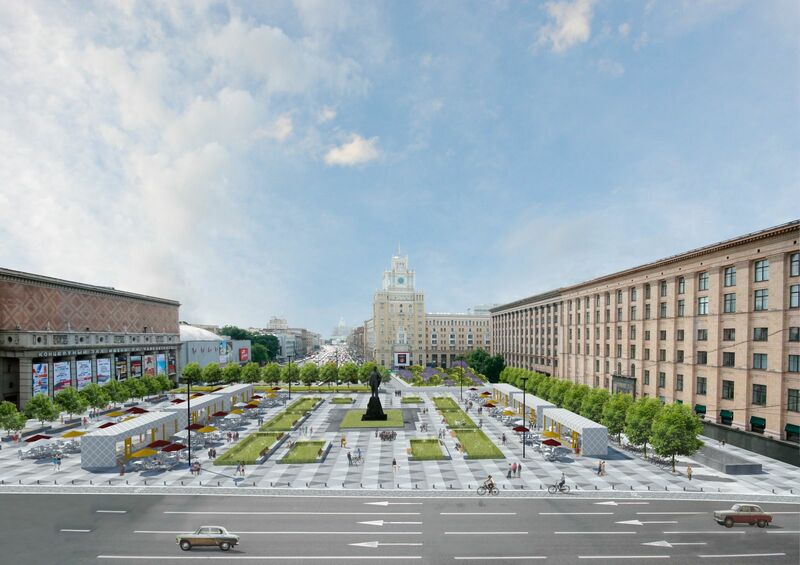 Strelka Construction Bureau has developed the reconstruction project that includes extension of pavements and reducing the roadway, laying bicycle paths, paving the traffic and pedestrian zones with granite tiles and repairing facades of five buildings. There will appea decorative lighting and small architectural forms – benches, flowerpots. Besides, by the City Day on September 5, large-scale landscaping works will be held there – more than a hundred trees and bushes will be planted. The total area of the new pedestrian zone will make about five hectares. Creation of the new pedestrian area will take place within My Street program. 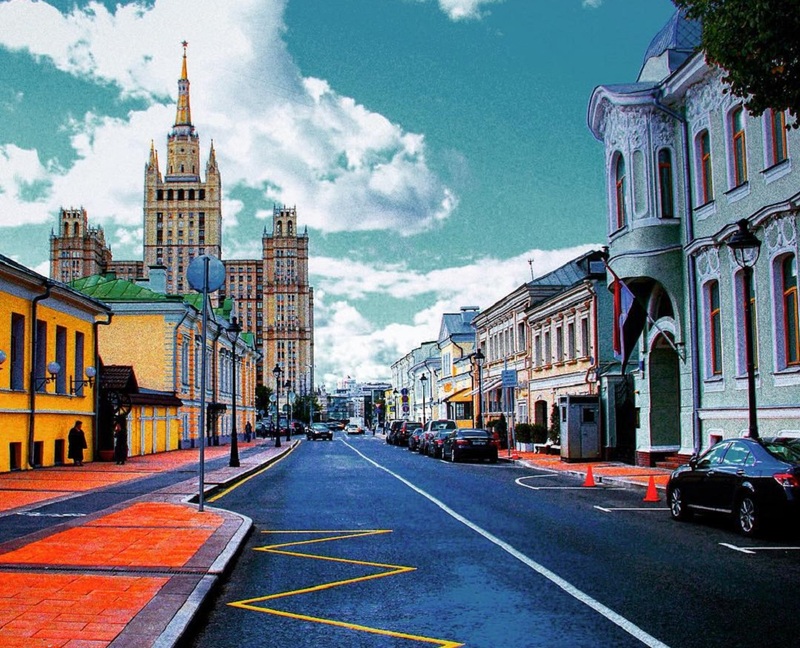 Authorities plan to improve almost every street in the center of the city, creating a favorable environment for pedestrians and cyclists. In total, 40 streets, alleys and avenues will undergo reconstruction in 2015.